I’ll be painting Koom shoes at the Koom Koom Party + Unbreakable™ Launch Party at blackmarket (Orchard Central) this evening with AtomicK and Mahlstik. 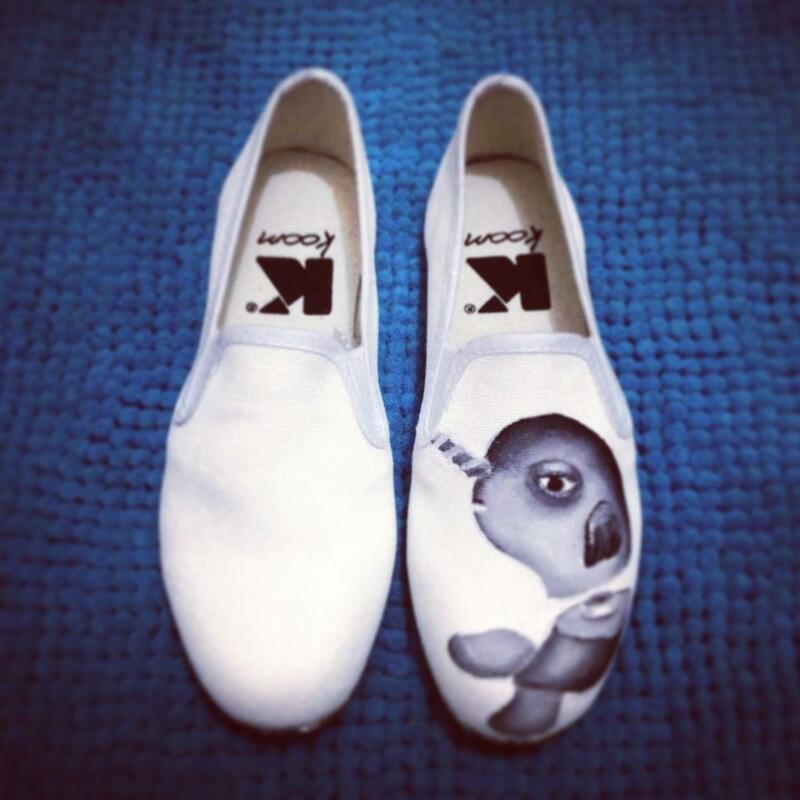 Koom shoes are minimalistic, fitted and crafted footwear using canvas textile with a natural rubber sole. The Koom shoes have been carefully designed to offers agility, lightness and grip. In essence, it feels like a second skin ideal for daily activities. Koom’s vision revolves around fundamental attributes such as Originality, Convenience and Happiness. Pursuing on its aspiration for simplicity, style and wellness, Koom’s unique round shape is inspired from the traditional iconic Asian kung fu shoes which are now revived in a new modern design using vibrant colours. If you’re in town, swing by to say hello or get yourself a customized pair too!